We would like to express our intent to work with you in your pursuit of creating and nurturing a healthy and productive workforce. We would also like to introduce our flagship service Careline to assist you in addressing Healthcare issues of its employees. We work with you to create a healthy workforce. 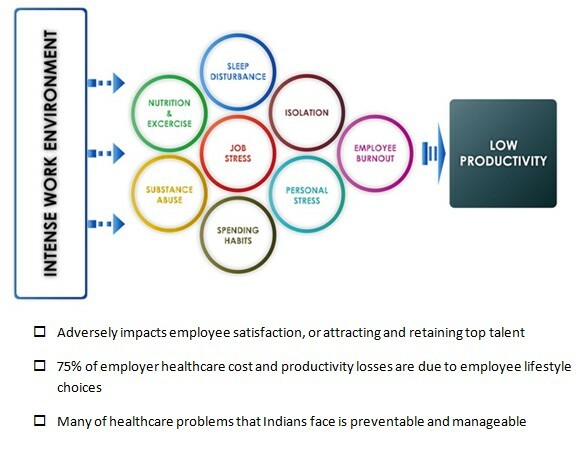 Innovative ways to implement employee wellness initiatives. Ensure consistent engagement with employees leading to holistic wellness. Help you create a healthy and happy workspace.